There will be a free Senior Crime Prevention Seminar on Wednesday, February 13th from 12noon to 1:30pm. 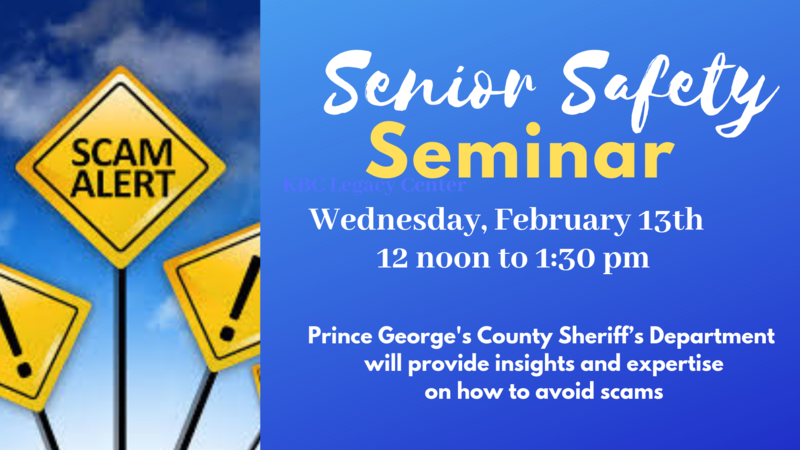 The PG County Sheriff’s Office will facilitate the seminar and share insight and expertise on different ways to keep our precious seniors safe in terms of identity theft, their physical safety, and how to avoid scams aimed at seniors. The seminar will be very helpful to seniors and to anyone who is concerned about the safety of seniors.